While the base stays are still there for all cooler seats that may have been on the boat, they have all been removed. Only the backrests remain (not available) and are in good shape. The decals may need replacing. The T-top has velcro flaps to undo so that your fishing rods can go through it - these both need some stitching and to be re-velcroed to lay flat; keep from flapping in the wind. Stock #171319 Smoothest and driest riding boat! Only 425 hours, 10' Blade Powerpole! 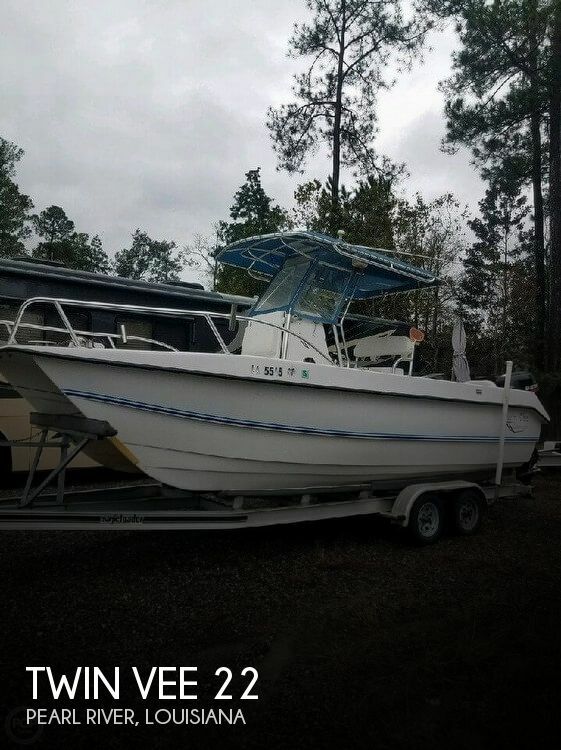 If you are in the market for a power catamaran, look no further than this 2007 Twin Vee Catamaran 22, just reduced to $23,500 (offers encouraged). 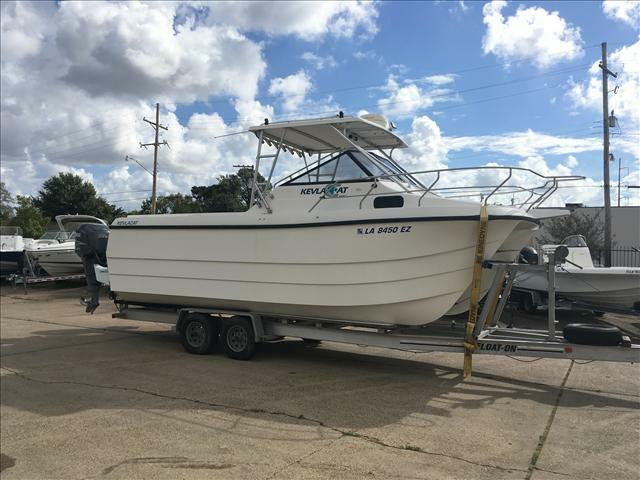 This boat is located in Pearl River, Louisiana and is in good condition. She is also equipped with twin Suzuki engines that have 425 hours. Reason for selling is owner has 3 boats and needs to get it down to two!. 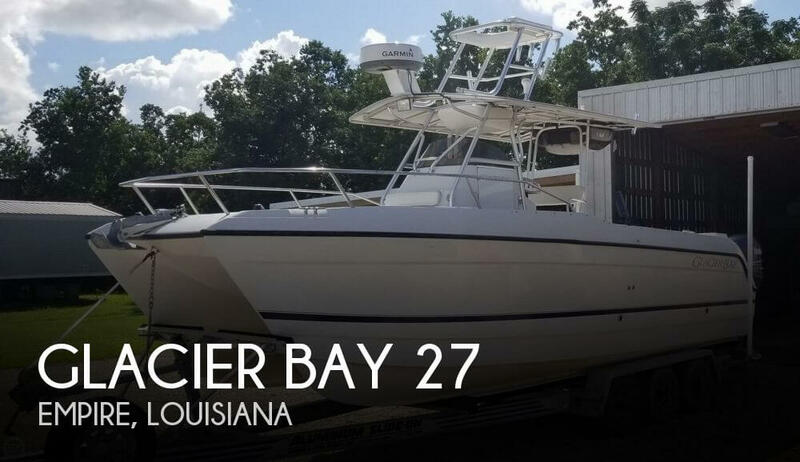 1997 Glacier Bay 260 Canyon Runner, In stock and available now! 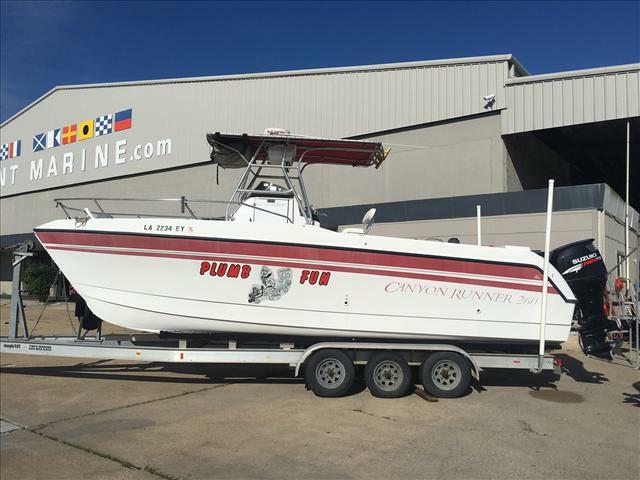 Call or come by and take a look at this really clean 260 Canyon Runner powered by Suzuki 150 4 Strokes with less that 190hrs!